Remember your elementary school days, trading peanut butter and jelly sandwiches in the lunchroom and hoping your best friend’s mom had stocked up on the after school junk food snacks your parents wouldn’t let you have at home? These days nearly 17 million kids aren’t trading peanut butter and jelly sandwiches or hankering for chips. And it’s not because they go to school in a “no nut zone” – it’s because they are living in poverty and go hungry. These are kids who struggle with schoolwork, suffer long-term health consequences and cannot reach their full potential—all because hunger is holding them back. Please join INSIDE F&B in supporting Share Our Strength’s efforts to end childhood hunger. Share Our Strength’s Taste of the Nation® (www.strength.org) is the nation’s premier culinary benefit dedicated to making sure no kid grows up hungry. 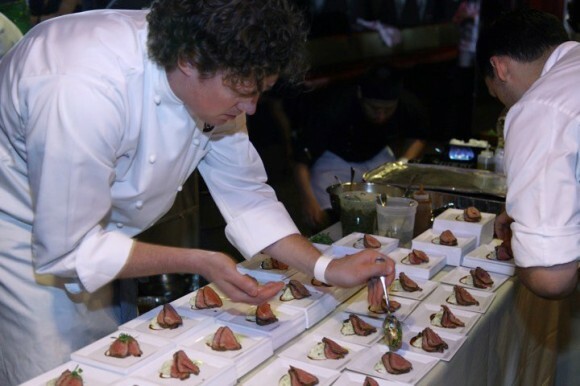 Each spring and summer, the nation’s hottest chefs and mixologists donate their time, talent and passion at nearly 40 events across the United States and Canada, with one goal in mind: to raise the critical funds needed to end childhood hunger. Taste of the Nation is nationally sponsored by American Express, Sysco, Food Network, Brown-Forman Corporation, S.Pellegrino Sparkling Natural Mineral Water and Stella Artois. Since 1988, Taste of the Nation has raised more than $73 million. Funds raised in 2009 supported 135 organizations in the United States, Canada and abroad. To purchase tickets or to get involved, visit www.TasteOfTheNation.org. 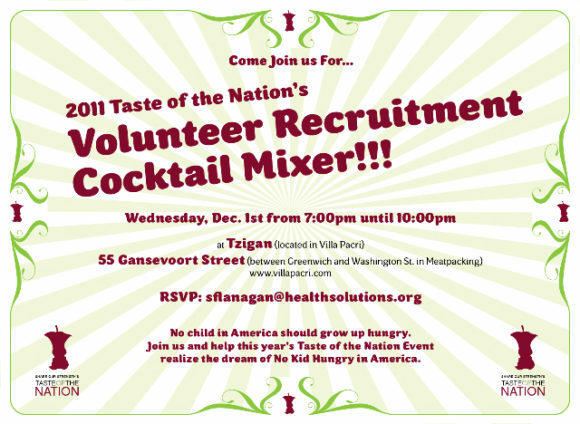 Be part of the team for this year’s Taste of the Nation event in New York City (or in your own town) and volunteer.